Deane Kenny Stryker was sitting at a table at a library when she was attacked. 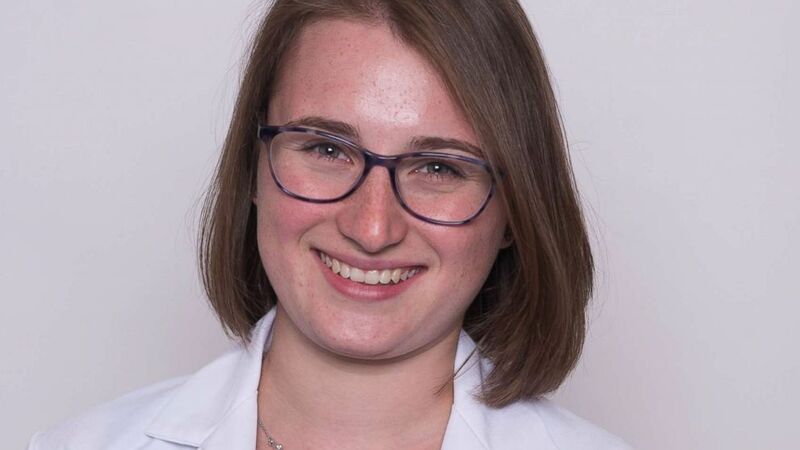 The first-year medical student stabbed to death at a Massachusetts library this weekend was a "sweet, warm, gentle" person who "would have been a really amazing doctor," according to her friends. 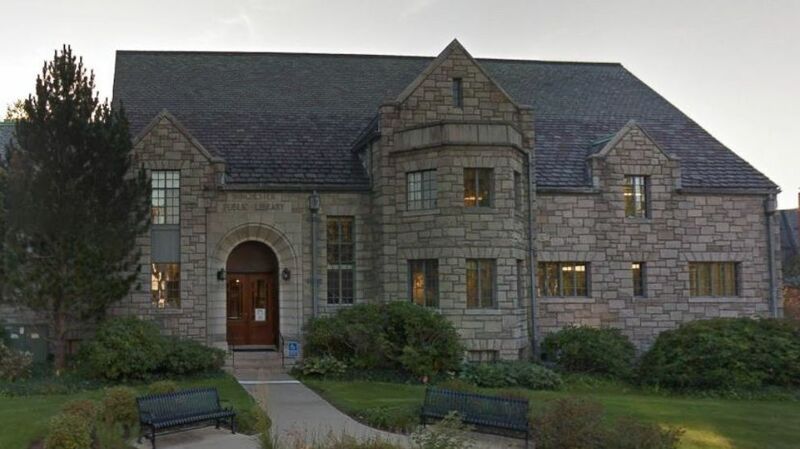 Deane Kenny Stryker, 22, was sitting at a table at the Winchester Public Library Saturday when she was attacked by a man with a 10-inch hunting knife, the Middlesex District Attorney's Office said. Jeffrey Yao is accused of coming up behind her and stabbing her unprovoked, prosecutors said. A man who tried to intervene was stabbed in the arm and survived, prosecutors said. Stryker suffered about 20 wounds, prosecutors said in court. (Google Maps) Winchester Public Library Central Library located at 80 Washington Street in Winchester, Mass. Friends of Stryker, a first-year student at the University of New England's College of Osteopathic Medicine, are now left reflecting on her short life. "She was just really unapologetically herself," friend Liza Simmons told ABC affiliate WMTW in Portland. "You have to be so brave to be like that." Simmons said it's "really sad that she never got to work with children. She would have been a really amazing doctor." "There was a moment of shock and disbelief," friend Emily Schaffer said, according to WMTW. "There's just no way that this sweet, warm, gentle human being who would not hurt anyone, that this could happen to her. And we've just suffered a huge loss from this one person." (Courtesy University of New England) An undated photo of Deane Stryker, who was stabbed to death at the Winchester Public Library in Massachusetts, Feb. 24, 2018. Stryker "was just beginning her journey toward becoming a physician and showed great promise as a student doctor who was passionate about medicine and helping others," university President James Herbert said in a statement. "She was an advocate for domestic violence and mental health awareness, and an active member of her college community," Herbert said. "She served as an orientation leader and was part of a student organization that provides confidential peer support to other students who need a place to turn when they are struggling." Before she began medical school, Stryker graduated from Northeastern in 2017 with a degree in behavioral neuroscience, according to the university. "Deane is remembered as a hard-working and friendly student during her time at Northeastern," Kenneth Henderson, the dean of the university's College of Science, said in a statement. "She was always smiling and found many ways to be involved in the Northeastern community. She served as a resident assistant in the residence halls, joined the Northeastern Symphony Orchestra and worked with the Boston Symphony Orchestra’s program for children. "Our sympathies go out to Deane’s family, friends and teachers for their loss," Henderson added. "For those on campus who might find comfort in confidential counseling, university resources are available for students, faculty and staff." Yao, 23, who was known to police, was arrested and charged with murder and armed assault with intent to murder, prosecutors said. (Faith Ninivaggi/The Boston Herald via AP) Jeffrey Yao appears with his lawyer, J.W. Carney, Jr., in Woburn District Court, Feb. 26, 2018 in Woburn, Mass. Yao appeared in court Monday and was ordered held without bail. A not guilty plea was entered on his behalf. 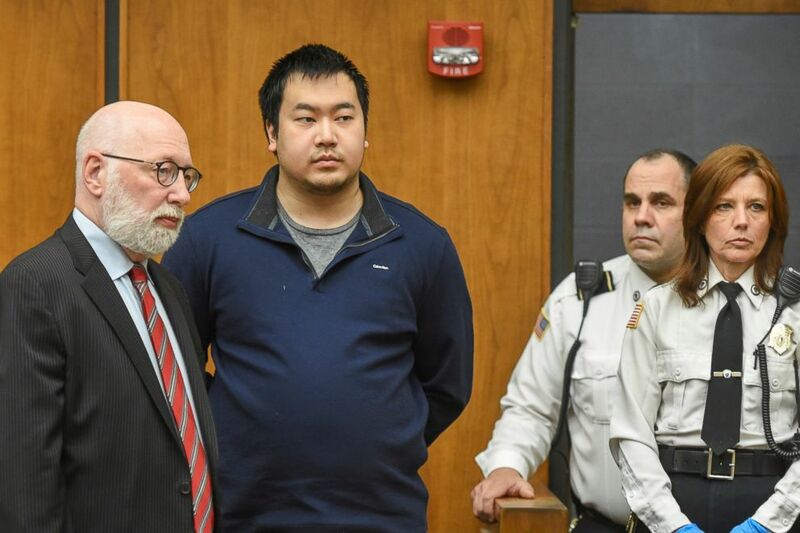 Yao's defense attorney told reporters Monday that his client has a long history of mental illness including hospitalizations, adding that Yao's parents are devastated for the victim’s family, ABC affiliate WCVB reported.